As I reflect on the past two months of research, I am filled with an overwhelming feeling: gratitude. Thank you to the BSURF program for funding my research. 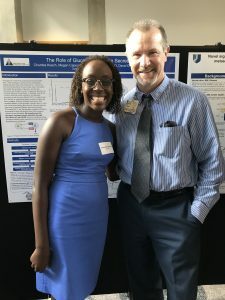 Thank you to Dr. Grunwald, Jason Long, and my friends and mentors in the Pendergast lab for dedicating their time and encouragement to create a truly amazing summer research experience. Research is like baking. I have always enjoyed baking. My favorite baking project to date is making French macarons. These sandwich-like cookies have always intrigued me with the special ruffles on their bottoms called “feet.” With only three ingredients, egg whites, almond flour, and sugar, these cookies are not quite as easy to make as they may seem. After many failed batches of feetless, pancake-like cookies, they no longer emerge from the oven looking like inedible blobs, and that is progress. The joy. 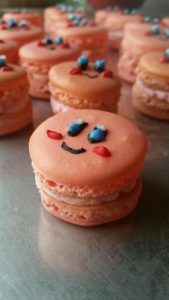 Oh the joy of pulling out delicate little circles of French macaron cookies with their small feet, even if the feet aren’t in perfectly straight lines or the tops of a few cookies have burst open from the baking process. Research is like that. There are joys and there are woes. Each step may seem like another opportunity to make a mistake, but each time one step is complete, it is one step closer to progress. There is joy in knowing that each step counts for something, even if it is only to learn that the batter was overmixed or that a specific antibody does not work. Admittedly, research is slower than I expected, but somehow I enjoy the whole process, especially the incredible intellectual stimulation as I proceed to answer questions from different angles or analyze the results of each western blot. This summer, I discovered the inner cheerleader inside of me who persistently cheers, “Next time! Next time!” This little pal constantly reinvigorates my optimism towards science. All of the sudden, I am considering the MD-PhD program as a career path instead of solely pursuing an MD. I know that both pathways can lead to extremely different lifestyles, but I can honestly imagine myself in both. Although newer to me, the research life fascinates me and wakes me up every morning, excited to go to work. I cannot wait to continue conducting research in the Pendergast lab. 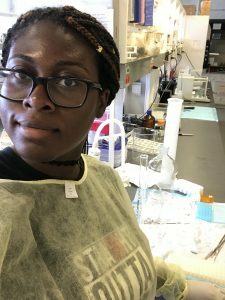 This summer of research has armed me with the lab techniques and confidence I need to jump back in at full force as I progress my research project, and I am so grateful for that. So, I leave you with my one final, remaining thought of the summer: thank you. This summer has been so great, it’s unbelievable. I went in knowing that I wanted to further my interest in microbiology, and I’m glad to confirm my interest! I will be continuing to work in Dr Heitman’s lab this school year, which I am very grateful for and ecstatic about! This summer has really lived up to my expectations and then some. The members of the lab are so nice, helpful, and funny. And I’m so happy they all showed up to the poster session to see my work. It has been great to start working in the lab, and I am so happy with how the summer turned out! I thought 8 weeks of research was a long time but it actually ended a lot quicker than I thought it would. I had such an amazing and person-changing summer. I learned so much about research and even got to learn how to correctly harvest rat brains and vital organs (which I did like a pro). This summer got me so excited for research that I decided that instead of just getting an MD, I wanted to get an MD/Ph.D. so that I could be a physician and use my clinical work to inform my research work. The people in my lab had such a great sense of humor and everyone was so eager to help if you had a question or needed something. I want to continue to work in the Levin lab and learn more about the sciences and research. And of course, I will be continuing to read the literature so I know what is going on in the scientific world. I would not be the same person I am now had I not been apart of BSURF and I’m thankful for that. 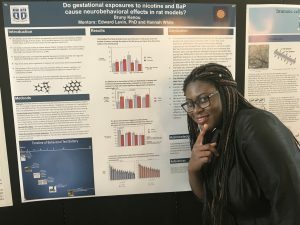 Me, Bruny Kenou, stunting with my research poster at my poster session. More Bike Rides to Come! This summer really flew by! I must say I’m so thankful we got this opportunity to get immersed in research! Spending a full day at the lab Monday through Friday really helped me see the daily lives of my PI and post-doc. I learned what it looked like to be a scientist and made a couple of friends along the way! I’m so thankful for everyone in my lab who showed me the ropes of the lab! My mentor Megan was really informative at the lab bench and beyond in giving helpful advice! I’m also so appreciative of the time Dr. D’Alessio put in to make me comfortable at his lab. Luckily I get to continue in this lab during the school year so I didn’t have to say goodbye! My PI, Dr. David D’Alessio! I really appreciate the time and effort Dr. Grunwald and Jason put to make this summer possible! BSURF allowed for an immersive research opportunity that I wouldn’t be able to engage in elsewhere. This summer has been an amazing experience. I have gotten a really good look into what life would be like if I chose to go to grad school. While I still don’t know for sure if this is what I intend to do after school ends, I now know so much more about this option. Before doing BSURF, I didn’t really have any idea of what getting a Ph.D. entailed and what graduate school was really like, but now I have spent the last 8 weeks in a lab full of graduate students and post docs and learned so much more about pursuing a career in academia. I think the most important thing I got out of this summer was being paired up with Lucas as my mentor. He seems to really care about me and my learning and me getting as much as I can out of this experience. I know that I have learned so much from this summer about BME and immunology and that is all thanks to him. I have also learned more about science—how science is actually done in the lab, how it is written about, and how it is presented. The morning meetings with Dr. G and Jason really helped with this part, as well as all the faculty talks. I feel like I understand more about what a career in science looks like. I am very grateful to have been given this opportunity to participate in an enriching summer research program. BSURF has aided me in understanding more about the scientific world and how it works, as well as what are things that can be improved. 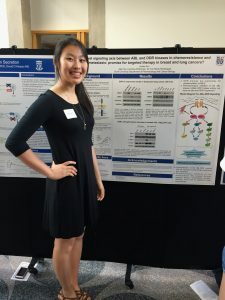 I came into this program having a research background, but I have learned a lot more about research from participating in BSURF than I did before. Dr. Gayathri Devi helped me grow and become a better scientist and problem-solver. I appreciate my graduate student mentor Risa Gearhart-Serna for assisting me in this pathway of learning about science; she was extremely helpful in my research all summer. 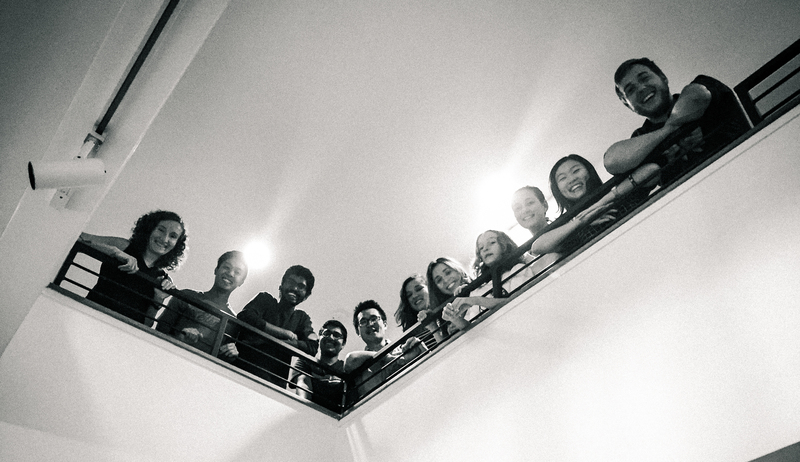 The relationships I formed with my peers inside and outside the lab are relationships that made me happy, and hopefully, they will continue to be a part of my life in the future. I enjoyed the weekly seminars from different faulty members. Having scientists present their research and findings, and telling us about their science career pathways, was truly revolutionary. It came to show me that you never know where you might end up in life, no matter what goals you have set for yourself. Lastly, I want to thank Dr. Grunwald and Jason Long for giving me the chance to participate in this program. Both work hard to keep the program running and ensuring we got the best out of this experience. They made this research experience possible for me and hopefully, they will continue impacting future participants. For me, BSURF was a little like my PFD for research— a constant that I could allow myself to lean on and return to while I was dipping my feet in the waters of research: Jason’s wonderful breakfasts, inspiring faculty talks, daily seminars on how to ask good questions and communicate science with integrity, reassuring friends who, more or less were on the same shallow shores that I was. Coming into the program, I relied heavily on this PFD to explore a new avenue I’ve never dove in before. There existed in me an optimist who was unsure of what to expect but was eager to learn as much as I could, but I was also shadowed by the fear of the ever-present pessimist, crafted from the lack of knowledge of what I wanted to do in the future. Each body of mind was proved a little bit right and a little bit wrong. No, I haven’t finalized the main mechanism of Traumatic Brain Injury or calculated a new head injury criterion, but yes, I have learned so much about the ongoing conversation in this field and have immersed myself in tools like LS-DYNA, LS-PrePost, and the SIMon model that allowed me to understand TBI more. Yes, some days were slow and sometimes stagnant, but other days with pig dissections and drop testing prep were incredibly exciting. I pushed myself to tackle challenges, ask question, be vulnerable, and most importantly, find joy. I found joy in lab, listening to the many jokes that Dale always makes during lab meetings and being touched by the genuine care and crazy intelligence of lab members. No matter where I end up in the future, the aura of this lab, this biomechanics family, will always set the standard anywhere I work. 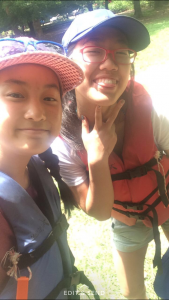 And I found joy outside of lab, making wonderful memories with old and new friends whether playing games late at night, teaching kids about snakes at the Eno River Festival, or going out on food excursions across Durham. I want to thank Dr. Dale Bass, Chris Eckersley, Jason Luck, and the rest of the biomechanics lab for being wonderful, inspiring mentor figures and co-workers during my time in lab. Also, I’d like to thank Dr. Ron Grunwald, Jason Long, and everybody in BSURF for being a part of my PFD in the entrance to the large and rather scary ocean of the future. Now that eight weeks have passed filled with rises and falls and a lot of learning, I believe it’s time to say farewell to my PFD. Coming in with only a broad idea of what I want to do in the future, BSURF has given me so much insight on which paths I want to start pursuing as I grow older. I am grateful for everything that BSURF has provided me with; such opportunities and privileges, though I say farewell, will never be forgotten. My fabulous poster! Also, shout-out to Dale for the iPad videos idea! This has probably been the most learning-filled summer I have ever had. Coming into the summer I had little idea as to what to exactly expect from my first research experience. One of the biggest lessons I have learned this summer is that research can be exciting in so many different ways. There may be a bigger end goal in mind but the day-to-day successes can be just as exciting as you never know where each day will lead you. Failure and mistakes are bound to occur along the way, but if you view these obstacles as learning experiences there is so much potential to grow in the lab. I also noticed that as the weeks went by, my abilities working in the lab increased drastically. My primary mentor, Nikki, greatly helped me to gain confidence working in the lab, which was greatly appreciated since I didn’t have prior experience working in a lab. I also learned the value of having a positive support system within the lab. All of the members of my lab are very positive and not only made my lab experience enjoyable but they were also always more than willing to answer questions or give advice when needed. I thus had a comfortable, positive environment to grow. I had a very positive experience conducting research this summer and have decided to continue research this upcoming school year. I am so excited to have the opportunity to continue research in the Collier Lab and can’t wait to continue to learn more! When all of your mice die, you don’t go home. Mice do not know what weekends are. No matter how much Dr. Grunwald loves snakes, I will never stop being afraid of them. Jason will move mountains to bring me jelly, while listening to 90s grunge of course. I truly love doing research, and I cannot wait to be back in lab next semester. I tried to like math, I really did. But alas, I still don’t like math. Even when you proof read your poster for a week, you still make a typo in your title. When your project completely fails, a great mentor will send you an article about the importance of stupidity in science and help you figure out how to keep moving. Theoretical results are still as acceptable as real results. I can’t wait to spend the rest of my career doing science. Thank you to the Dzirasa lab for giving me a fantastic summer research experience. Thank you to Dr. Grunwald and Jason for teaching all of us so much about what it means to be a scientist. Science can be slow. And that’s the way it often is. When I started out this summer, I thought I would complete all the 3D modeling needed for my spines within two/three weeks. So when I found myself one month in, still banging my head on the keyboard and trying to figure out how to make the program do what I wanted, I felt incredibly frustrated. I thought that I was the problem, that I was taking too long to learn the material or figure out the software’s ropes. But time and time again, my mentor Jacob reassured me that this is how science goes. A large part of research is spent reading around, absorbing information, and troubleshooting experiments when they don’t work (which they often don’t). And the thing is, the more you tweak and redesign your experiment, the more you learn about your own project, and the better your understanding about your topic becomes. I guess as a newbie, I didn’t really understand the time span involved in doing research. But now I understand that a lot of time is needed in order to produce good work. Labs can be a community. Back to that point about Jacob reassuring me when I felt frustrated: I feel like the people you’re with in a lab can also make a difference in your own attitude and performance. 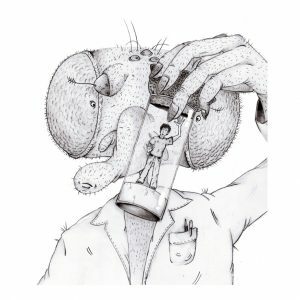 My mom studied biochem in college, and she once told me this horror story about a lab that was so cutthroat, they wouldn’t allow undergrads to attend meetings because the atmosphere was simply “toxic.” On the other hand, every Patek lab meeting I attended involved listening to the presentations of various lab members while munching on lunch, and were always filled with meaningful feedback and questions sparked from genuine interest. Before BSURF, I imagined research as a mainly solitary activity, where minimal interaction with other human beings occurred. It’s true that majority of the day, everyone in the Patek lab works on their own thing. But there is also a definite sense of community as well. If you have a technical question, you can ask your neighbor about it; if something in your project makes you laugh, you can call everyone over to see. I’m sure not every lab is like this, but now I realize that community and atmosphere is something I greatly appreciate, and that I’ll take into account when figuring out where I want to go in the future. A HUGE thank you to the Patek lab for having me this summer, and to Jacob and Dr. Patek specifically for all their guidance and help. I had a great time! And of course, thank you very much to the BSURF program for making this eye-opening experience possible! Throwback to week one…thanks you guys! Through these past weeks, I have discovered myself both personally and professionally. Having the opportunity to work at a prestigious lab as my first research opportunity has helped me grow in remarkable ways. I have learned a lot about the research world, and have gained a newfound respect for the dedication that researchers go through trying to solve some of the world’s most intricate problems. I have learned to be not only analytical but also detail-oriented, focusing on each and every procedure in order to produce precise results that can benefit the lab as a whole. Coming to lab everyday and seeing everyone else give it their all has proven to me the importance behind this work, and inspired me to give it my all each and every day. There is no better feeling than having the resources for discovery, and the opportunity to achieve it. Dr. Anne West’s seminar was particularly intriguing because of its focus on the “basic sciences”. Oftentimes, I hear undergrads who say they want to do research in cancer or immunology “because it’s cool,” and yet many of the major scientific discoveries came from so-called basic sciences that may appear to be separated from clinical implications. In fact, as Dr. Anne West pointed out, a large portion of the discovery of CRISPR came from studies of bacteria in the food industry. I was also fascinated by Dr. West’s desire to write a book of anecdotes designed to bridge the gap between the abstract world of academia and life. Her passion for her work and the reasons for her continued motivation were truly inspiring. After 8 weeks, it comes to a close. Time management is key. I still don’t have time management under my belt, which is pretty frustrating. Even ‘til the end, I couldn’t plan my time accordingly, which led to me trying to get into lab over many weekends. No joke, it’s essential. I actually found myself running around like there was no tomorrow sometimes because of some test I forgot to do. Countless times I’ve found myself running to grab dinner before all the restaurants closed at 7 PM. I’ve had some pretty close calls. Fruit flies are pretty cute. I think this is pretty self-explanatory. Sometimes, I just wish they were more cooperative. I didn’t mean to behead you, you just wouldn’t stay still! Control experiments are very important. Patience is key. There’s a lot of waiting. Many times, in lab, I’ll find myself staring out into the distance, because I’m just waiting for that 4:00 mark to tell me to go check up on my flies again, or I’m waiting for a specific day so I can actually do a test. 8 weeks is not enough time for substantial results. So, I knew this from the beginning (more like I thought I knew this). I was also told this by many people. However, once the 6-week mark came, it really hit me that, results just weren’t going to be a huge part of my poster, which is fine. I might have been a bit disappointed that I wasn’t going to be able to see the fruits of all my work, but I mean oh well, what can you do? Tell the flies stories so that they’ll want to come out of their pupa faster and mate even faster? If only. Mistakes happen. And oh boy were there a lot of mistakes made. There would be times I would forget to label something and then I’d have to throw the whole vial away and then there were also times where I would put one male in an all-female vial and biology would happen and a few days later I would see pupae at the bottom of the vial. Curses. Analogies are your friends. They really are, especially when explaining things to your parents who are curious about what you’re doing over the summer. Things don’t necessarily go my way. Frustration is just part of the research experience. I mean why did I assume they were going to in the first place? There are probably a lot of other points I’m missing, but these are the essentials. At least by the end of this, I’ll have had my fun with all of these fruit flies and actually learned how to distinguish males from females with the naked eye (I know, very impressive). One of my favorite parts about being part of this lab is finding the abnormalities and just staring in wonder, thinking, “wow, science is pretty weird…but very cool”. I’m grateful for this opportunity and for doing things I never imagined myself doing. #throwbackthursday to when I was confident I was going to get my M.D. and become a clinical doctor. #waybackwednesday to when I was going to get an M.D./Ph.D. As the last few days of BSURF are coming to an end, I’m adding more and more career options to the list and creating more hashtags to reminisce on the times when I thought I knew what I wanted to do. Coming into college, I thought that I was going to be #pre-med and follow the classic route. After working in a research lab freshman year, I was even more confident since I hadn’t enjoyed the laboratory research life that much. Yet for some reason, I’m #loving research life now. Maybe it’s because I have more time to work on my project and actually feeling like I’m accomplishing something. Maybe it’s because I have a new lab work environment. Whatever it is, it’s #enjoyable. So while my career and academic major plans have changed a #bajillion times, I’m okay with that. As of right now, I think I might want to pursue the #MSTP route and get an M.D./Ph.D. All I 100% know is that science is changing. Discoveries are made every day. What I knew yesterday is no longer accurate today. There’s always something new to learn, and I’m #blessed to receive funding from BSURF to enable that. I have enjoyed the seminar component of this program since it has allowed me to meet many of the faculty here at Duke. 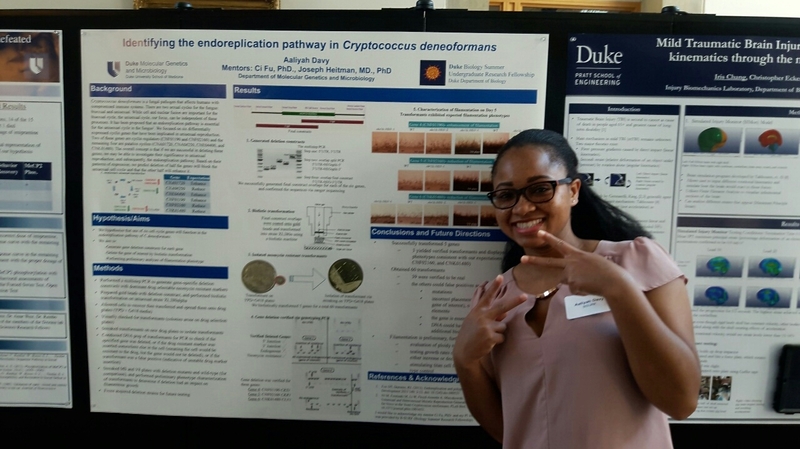 These seminars have enlightened me of what makes Duke research so unique and how important it is to get involved in research at this university. I found it interesting to learn about the life pathways of these scientists and a common theme I have seen is that you never know where you might end up in life. One of my favorite seminars was from Dr. Brian Coggins, Assistant Research Professor of Biochemistry. 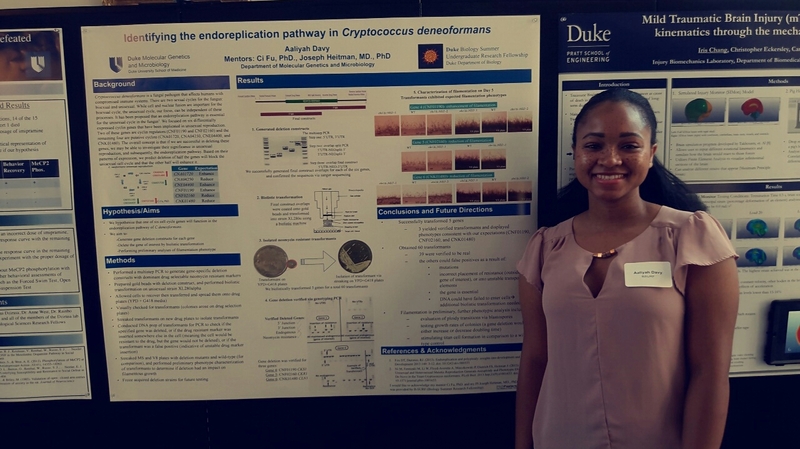 I was excited to learn about his research since the beginning of this fellowship because his research revolved around Biochemistry which is the area I plan to study while my time here at Duke. His work focused on NMR technology and furthering the potential of this technology. NMR is a topic that was covered in my Organic chemistry I class. I found it difficult to learn but once I started practicing NMR problems it became easier to understand. However, the class didn’t go into detail about why NMR is important and what implication it has in the real world. Learning about Dr. Coggins research gave me a greater insight in that field and allowed me to connect what I learned in class and apply it to ongoing research. Dr. Coggins research around NMR goes well beyond my scope of knowledge of the topic but I am interested to learn more about it once I start taking higher level chemistry courses. A comment from Dr. Coggins that stuck with me was that he is never satisfied. It’s his curiosity that drives him forward and allows him to want to learn more. It is difficult to choose just one discipline and stick with it for the rest of your life. Dr. Coggins mention how he wishes to have more time to learn about other research since there are so many things fascinating out there. It is interesting to know that even Dr. Coggins, with his years of experience, still doesn’t know what will come next in his career, but his curiosity will certainly lead him in the right direction. The name is Dr. Anne West. Did you know that three Duke faculty have the name, Anne West? Anne J. West, Anne E. West, and Anne West. The Anne West who directed the faculty seminar this week is Anne West from the Department of Neurobiology. Dr. West’s convincing argument for the value of basic scientific research captivated my attention. Last week, another Duke faculty member, Kathleen Donahue, began her discussion by asking us about the value of basic scientific research, which, to the average person, does not seem to have practical, real-life applications. This week, Dr. West followed Dr. Donahue’s intriguing introduction to the topic nicely as she also addressed the value of basic scientific research. On the long whiteboard located at the front of the classroom, Dr. West drew a timeline. As an example, she told the story of CRISPR, the widely popular genome editing technology. When she marked the year 1987 on the timeline and wrote the word, “Archaea” above the year, I must admit I did not see a direct connection to the gene-editing technology. It turns out that in 1987, scientists studying Archaea noticed repeating sequences in Archaea, but did not know what these clustered, interspersed repeats were. When Dr. West mentioned “clustered,” and “interspersed,” I thought, “ah, CRISPR!” (CRISPR: Clustered Regularly Interspaced Short Palindromic Repeats). Later, CRISPRs were found in bacteria, and in 2005, people trying to make better yogurt recognized CRISPR as a defense system for bacteria to protect themselves against phages. In 2012, CRISPR as we know it today was discovered as a method to target and modify genes in living cells. Although it may be hard to think of the direct, practical applications of “undirected research” to society, this type of research can change lives in the future. Hence, this type of research has considerable value. 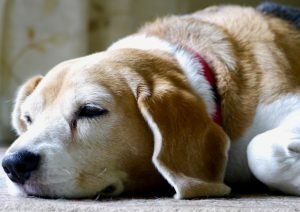 The sad part is that basic scientific research is being deprived of funding because many fail to perceive the benefits of this type of research to change lives for the better. The discovery of CRISPR as a method to alter the genome is huge, and without the “undirected research” of Archaea, who knows how long it would have taken to reveal this important discovery. Dr. West mentioned one of her long-term goals to create a book composed of stories about curing diseases, which would challenge people to consider the value of basic scientific research. After listening to Dr. West’s engaging presentation, that is one book I sure would like to read. Every week I look forward to the faculty seminars more and more. I love to hear about the various life journeys of scientists at Duke. 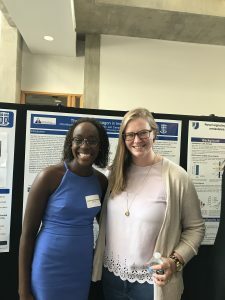 The inspirational faculty talks not only introduce us to the thought-provoking research of highly esteemed faculty at Duke, but also allow us to discuss life goals and the various journeys through life as a scientist with these wonderful people. What an exciting life of exploration it is to be a scientific researcher. I have to say, the seminars have been incredibly interesting and a great start to my mornings. 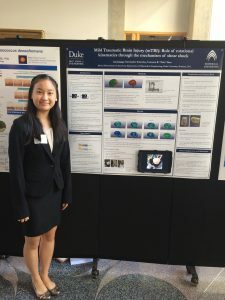 I like that we have been able to listen to a wide breadth of science being done a Duke and learn about all different types of fields and research being done. In our labs, we have been getting a very in depth look into one subject, but through the seminars we have been able to learn about all different types of research. One of my favorite seminars was on something very unexpected: bird songs. Dr. Nowicki studies how birds communicate and how their songs evolve, and then uses birds as a model system to better understand human language and communication. This lab does not relate to anything I am studying and the field work they do is pretty different from the bench work I do in the lab every day. Quite honestly, I really did not think that bird songs could be very interesting. However, I walked out of Dr. Nowicki’s talk suddenly incredibly interested in bird songs! The way that Dr. Nowicki presented his research was engaging and easy to understand, so I felt like I had a good idea about what was going on in his lab without being overwhelmed. Additionally, I was interested in learning more. All the talks have been incredibly interesting and got me thinking about all the different types of research out there. I do think the most influential parts of the talks, though, were the parts where the faculty told us about their career journeys and how they got to where they are today. Those stories really gave me a good understanding of what my career path may look like if I choose to go to grad school. They also let me know that there are many ways to get to the same place, and let me know that there is still time for me to figure out what I want to do in the future. Doing lab work right now is really awesome for whatever I may choose to do, but I still have time to explore my interests and find my path.